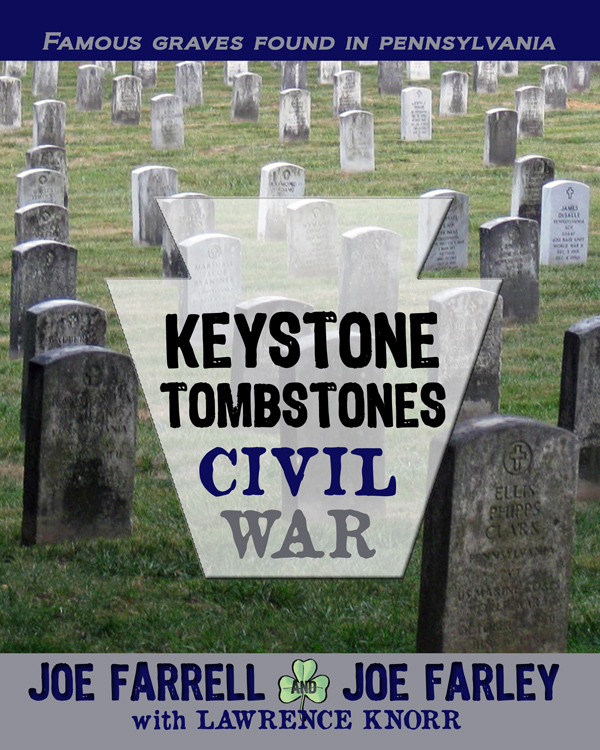 Pennsylvania's role in the Civil War highlighted in "Keystone Tombstones Civil War"
MECHANICSBURG, Pa. — Sunbury Press has released “Keystone Tombstones Civil War” by Joe Farrell, Joe Farley and Lawrence Knorr. This special volume of the Keystone Tombstones series highlights Pennsylvania’s contributions to restoring the Union and ending slavery. 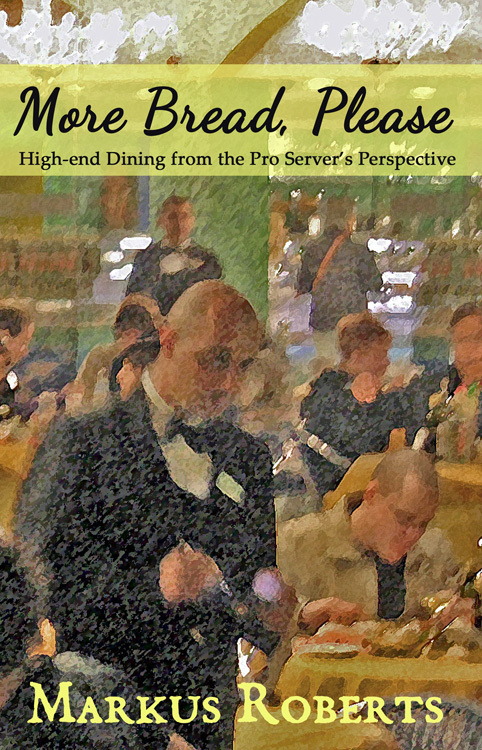 Working in the restaurant industry for almost two decades gave Markus Roberts more than enough material to produce a practical and honest, yet humorous guide created to improve the higher end of the industry for both consumers and employees alike. His passion to excel in ballroom dancing, with plans for opening his own studio in the future, led him to move to NYC and spend six years acquiring some of the best training the country had to offer. While in training, he used his many years of experience as a server to acquire positions in fine dining locations, taking advantage of the industry’s flexible scheduling and high earning potential. He soon became equally as passionate towards trying to improve the high end restaurant industry, for he believed most of the problems that occur between consumers and employees stem simply from a lack of communication and misunderstandings. During his last two years as a professional server he created “More Bread, Please”, his attempt at bringing everyone to the same page so to speak. Markus has recently retired completely from his career as a waiter, and now enjoys a successful career as a ballroom dance instructor. “More Bread, Please” is a brutally honest, yet hilarious look into the high end restaurant industry. After spending nearly two decades of his life in a restaurant of some sort, Markus Roberts has pretty much seen it all. He used his real experiences and knowhow of the industry to create a book that attempts to improve the industry by bringing consumers and employees together towards a better mutual understanding, and also to provide a source for better communication. Though his book was designed primarily as a guide to help ensure consumers enjoy fantastic dining experiences, he also provides useful information and insight for those interested in a career in fine dining. Included is a behind-the-scenes look into the business of wine, a reference of restaurant jargon, a section on Restaurant Week, a taste of health inspections, and much more. Mechanicsburg, PA – Sunbury Press, Inc., the trade publisher, has contracted with SONY to distribute eBooks on the SONY Reader platform through the SONY Reader Store. The Sony Reader is a line of e-book readers manufactured by Sony, who invented the electronic ink reader with its Librie. It uses an electronic paper display developed by E Ink Corporation, is viewable in direct sunlight, requires no power to maintain a static image, and is usable in portrait or landscape orientation. Sony sells e-books for the Reader from the Sony eBook Library store in the US, UK, Japan, Germany, Austria, France, Italy, Spain and Canada. The Reader also can display Adobe PDFs, ePub format, RSS newsfeeds, JPEGs, and Sony’s proprietary BBeB (“BroadBand eBook”) format. Some Readers can play MP3 and unencrypted AAC audio files. Compatibility with Adobe digital rights management (DRM) protected PDF and ePub files allows Sony Reader owners to borrow ebooks from lending libraries in many countries. The DRM rules of the Reader allow any purchased e-book to be read on up to six devices, at least one of which must be a personal computer running Windows or Mac OS X. Although the owner cannot share purchased eBooks on others’ devices and accounts, the ability to register five Readers to a single account and share books accordingly is a possible workaround. 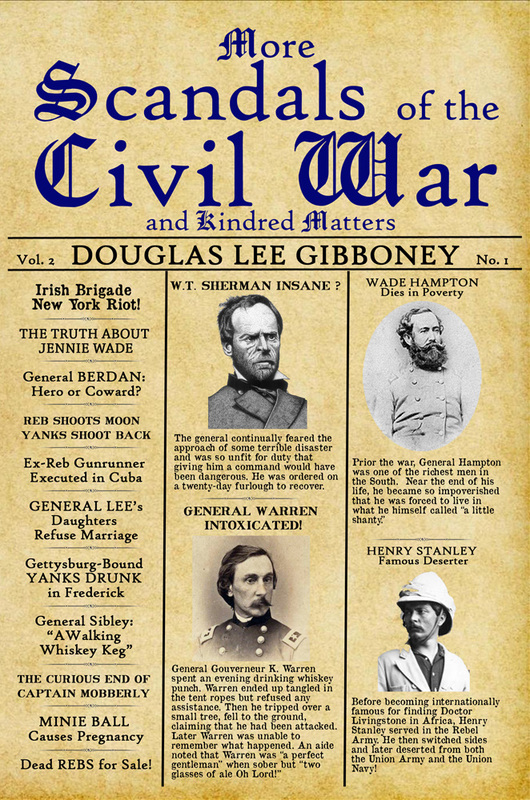 Douglas Gibboney digs up "More Scandals of the Civil War"
Yes, well…here we go again with a second serving of assorted sordid deeds, malicious gossip and just plain naughty behavior by Billy Yank, Johnny Reb and their female counterparts. As in the first volume of Scandals, these stories show there is truly nothing new under the sun; the on-going folly of mankind remains constant across the centuries. For better or worse, human nature does not change. But then, who doesn’t enjoy a juicy scandal? As the late Washington dowager Alice Roosevelt Longworth once remarked, “If you haven’t got anything good to say about anyone, come sit by me.” Like the first volume, More Scandals is a tabloid history of the war. You’ll find plenty of titillating tales here as this book opens with an unusual chronology of the war, highlighting not the bloody battles, glorious generals and great campaigns but the odd, the ugly and the unusual of everyday humanity. 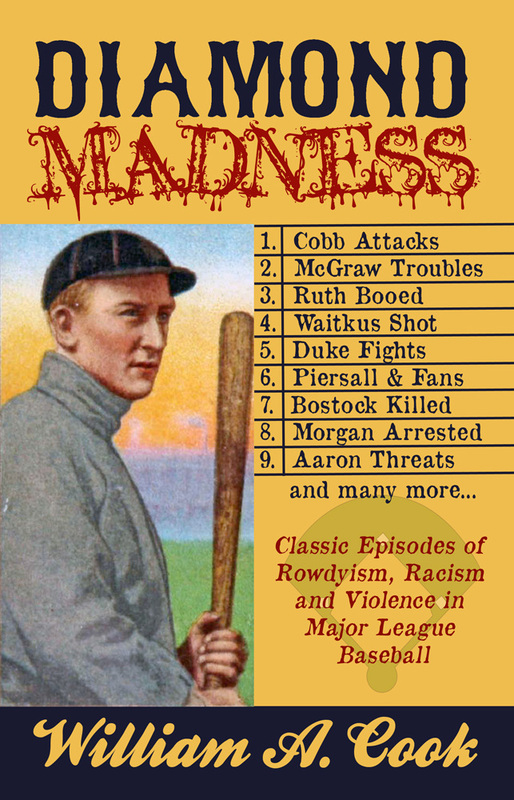 You’ll notice the title does say “and Kindred Matters,” allowing for a wide range of topics. Consider this a writer’s privilege. 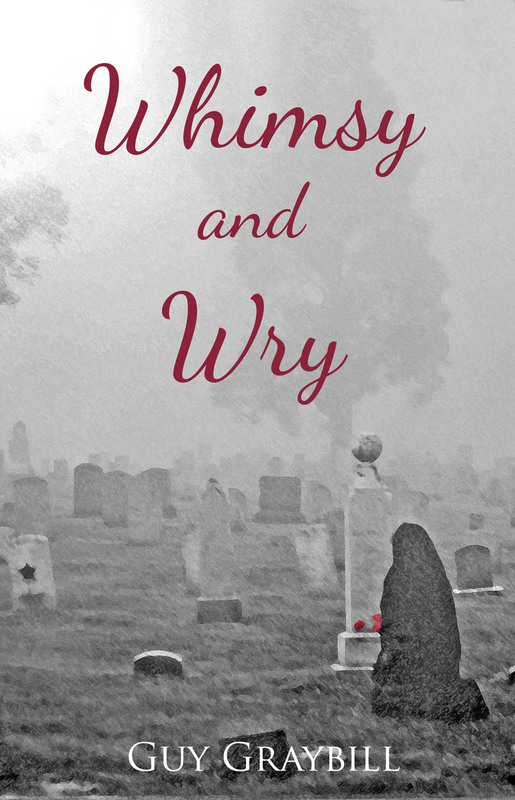 The second part of the book deals with what happened to the boys in blue and grey once the fighting ended. Many lived well into the 20th century, five or six decades after the surrender of Robert E. Lee and Joe Johnston. These veterans would witness the United States transition into a modern era and begin its rise as an international power. It was a new industrial world far different from the antebellum times in which these old soldiers had been born. Nevertheless, for most of the survivors, the conflict of 1861 would remain the central touchstone of their lives. Irish Brigade New York Riot! General BERDAN: Hero or Coward? Mechanicsburg, PA — Children’s author Mike Sgrignoli and his son Ethan, the illustrator, have signed with Sunbury Press to publish their Dinorific Poetry series. The Mechanicsburg publisher of trade paperback and eBooks plans to reissue the first two volumes, followed by a third currently in the works. The Sgrignolis have risen to local acclaim thanks to their positive message and appearances at local schools, bookstores, childcare centers and other venues. Mike has made numerous media appearances, and will be joining Sunbury Press at Book Expo America in New York, May 30 to June 1. 10 delightful poetic stories conceived by Michael coupled with 24 of Ethan’s imaginative watercolors. You’ll meet Diplodocus, Dimetrodon, Styracosaurus, Pachycephalosaur and a host of other unique and admittedly obscure dinosaurs. There’s even a story about where the skull of a Plesiosaur got mistakenly placed. Dig in! We’re upping the ante folks…14, count ’em, 14 new dinorific ditties designed to dazzle dino lovers. You’ll meet Carnotaurus, Argentinosaurus and Megatherium (a 20 foot long sloth. Really.) We even delve into the ocean’s depths to meet Megalodon, Dunkleosteus and Kronosaurus. And did you hear the one about the dinos playing poker? You will. Michael is a poet, musician, forward-thinking, public-speaking, rugged individualist who strives to be the best darn daddy ever while balancing a full time job. Ethan is a fun-loving, imaginative, animal lover who (his father believes) IS the best darn son ever. This father/son literary project has provided the setting to engender greater mutual respect and has delivered an even more precious gift: more time spent together. 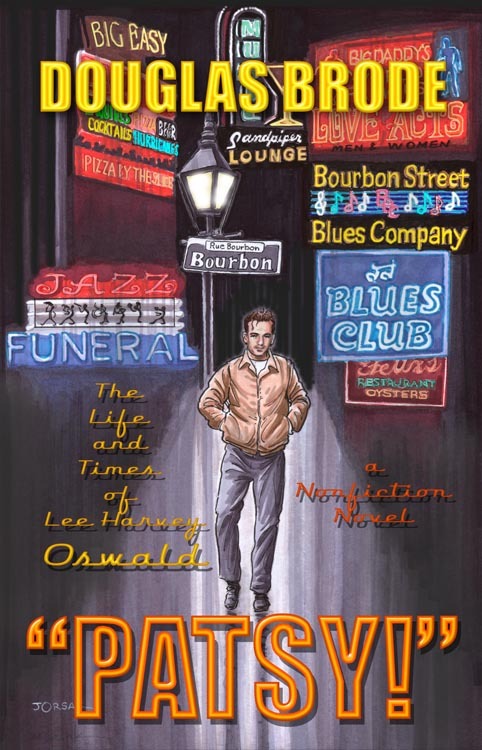 Mechanicsburg, PA – “Patsy!”, Doug Brode’s nonfiction novel relating Lee Harvey Oswald’s perspective on the Kennedy assassination, was #1 upon release thanks to media attention, including the Dennis Miller show. 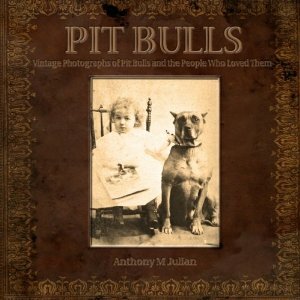 Anthony Julian’s “Pit Bulls,” a collection of vintage photos of these pets and their families ranked #2 due to heavy interest from dog shelters and dog rescue supporters. The late Linnea Jepson’s “Linnea’s Kitchen: Yummy Ayurvedic Recipes and Life Lessons” has been selling briskly since the author’s unexpected passing. A second print run is being contemplated by her heirs. “Emeralds of the Alhambra,” John Cressler’s soon-to-be released historical novel about religious harmony in medieval Spain has been bolstered by advance sales. Susan Emmi’s newly released “As a Guest of Clive Barnes – Journeys through the Ballet with Clive Barnes and Others,” grabbed the 5 spot due to author activities in New York City. Jess Steven Hughes’ novel “The Sign of the Eagle,” set in ancient Rome, was #6 in sales thanks to author activities. “The 3-5-7 Model,” Darla Henry and Associates’ program to counsel grieving children, took the 7 spot thanks to author events. “In the Shadow of a Mountain,” Susan Dahlgren Daigneault’s memoir about her famous father, WW2 hero Ed Dahlgren, “The Sergeant York of Maine,” stayed on the chart at #8 thanks to author appearances. Mike Campbell’s “Amelia Earhart – The Truth At Last” continues to sell well, taking #9 on the list. Steve Troutman’s “Tulpehocken Trail Traces,” detailing the remnants of the old Indian path from Shamokin to Conrad Weiser’s homestead returned to the chart thanks to author appearances. Mechanicsburg, PA – Sunbury Press, Inc., the trade publisher, has contracted with Library Ideas, LLC for their FReading service to distribute eBooks to thousands of libraries worldwide. Library Ideas, LLC is a privately held company located in Fairfax, Virginia. Library Ideas supplies digital products and websites to libraries of all kinds around the world. Their signature products are Freading eBooks, Freegal Music and Rocket Languages for Libraries. The Freading Ebook Service is a download Ebook service sold to Libraries for free use by its registered cardholders. Please check with your local library to see if they have contracted for the service. The service is only available to subscribing libraries and members, and you must enter the Freading Site via the Library URL. o 0-6 months after print publication $2 per loan, $.50 per renewal. o 7-24 months after print publication $1 per loan, no renewal charge. o More than 25 months after print publication $.50 per loan, no renewal charge. The fees are invisible to the patron. Libraries can also just pay as they go, receiving a regular monthly statement, to avoid patrons being denied access once a set budget limit has been reached. Participating libraries include Orange County Public Library System (FL), the Free Library of Philadelphia, Maricopa County Library District, AZ, Los Gatos Public Library (CA), the Westport Public Library (CT), and many more.